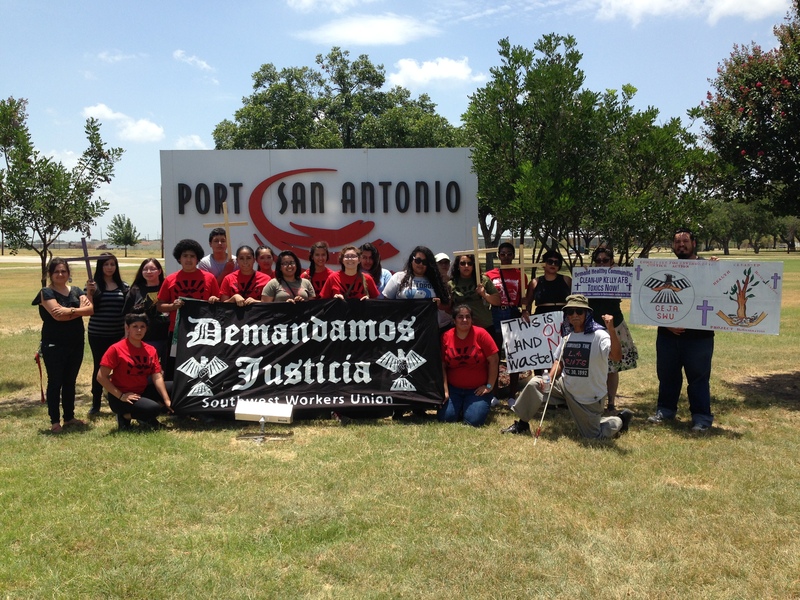 Posted on January 31, 2015 by University Sin Fronteras wrote in Recent News. University Sin Fronteras joined the SMA Southern Peoples Initiative (Statement) 2015-17 which means we are an anchor and a part of the Governance Council of the Southern Movement Assembly. Reynaldo Padilla participated and represented the University Sin Fronteras at the Emancipatory paradigms seminar in LA HABANA, CUBA from the 12-17 of January. Ruben Solis, President of UNSIF spoke at the Martin L King & Cesar Chavez Luncheon organized in New Orleans on January 15, 2015 by ASHE, Cultural Arts Center. The basic theme was decolonizing the movement and knowledge, and building Black & Brown alliances and unity. Jacksonville UNSIF Campus has been connecting to the #BlackWomenLivesMatters PMA, January 28 and Marissa Alexander’s hearing on January 27. MEMO re: Fusion & Major changes are in store for the plan and development of UNSIF. Project South/UNSIF will be emerging as a fusion process to fully imbed UNSIF within the grassroots social movement. Uniting as equal organizations into one process along with SMA. Project South will assume administrative duties, coordinating the anchor organizations/campuses, and the campus coordinators between now thru May 2015 and beyond. Ruben Solis, will continue as president of the board and organization (501 c3) 2015-17 and this will be a time of transitioning towards total fusion between UNSIF into PS. President’s Office will be based in San Antonio. Main office will remain in Atlanta with Project South. Project South will be taking the lead in coordinating staff and anchor campuses of UNSIF in weekly consultation with Ruben Solis. UNSIF will be looking into acquiring accreditation to give University credits to participating students who want and need it. Ruben Solis will be working on this process. UNSIF will also be publishing curriculum & pedagogy through the San Antonio office, Ruben Solis will lead and coordinate that process. Each campus should be finalizing the CALL for registration for the Liberation Spring Semester (Mar 1-May 31). This means identifying the THEME, COURSE, CLASSES, TIME schedule, and ADJUNCT faculty. We will start holding a MONTHLY conference call of all six campuses and the campus coordinators to finalize and share what the plans are for the Liberation Spring Semester and where we are at in this moment. We are looking to focus at least one class on Philosophy of Liberation. What is OUR definition and agreements on this. The other focus is on STATE Violence what is it? Selma March 50th yr and the SMA mobilizations around it. The Governance Council of the SMA will meet in the frame of this time in Selma AL. UNSIF will hold a meeting of the Board of Directors in April. Liberation Spring Semester continues in all six campuses!!! UNSIF is planning a INTENSIVE ORGANIZING INSTITUTE for non profits and grassroots community organizations and activist organizers probably in Atlanta in mid or late part of the month. More information later. Bring in peoples from all six campuses, and plus other significan partners to participate. Cross campus connections. Philosophy of Liberation. Decolonizing knowledge. Ruben Solis Garcia speaks at Grassroots Global Justice Alliance 10th anniversary kick off celebration in San Antonio at SW Workers Union.